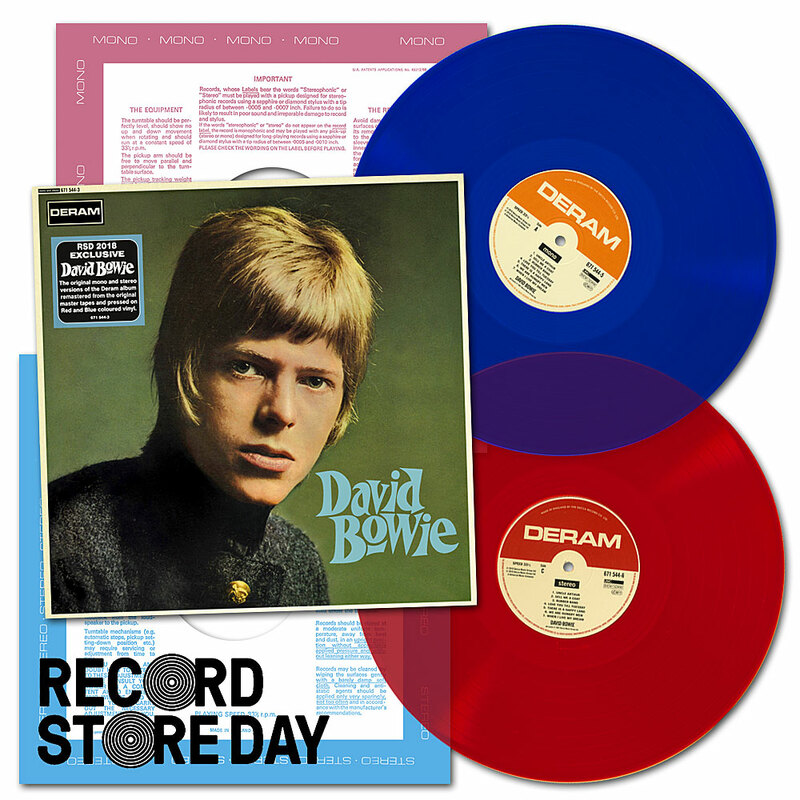 As we exclusively revealed last month, Parlophone will be issuing three limited edition David Bowie discs for Record Store Day on April 21st. You’ve probably heard of discs being released by other companies too, such as UMC’s beautifully packaged David Bowie album, first released on Deram in 1967, which we are giving you an exclusive first look at here. This double vinyl gatefold RSD version features a blue vinyl mono disc and a red vinyl stereo one, housed in replica packaging. Confusingly, and unlike parent company, Decca, Deram had red labels for their stereo releases and brown for their mono issues. The inner gatefold is taken up with Kevin Cann’s very thorough and informative Deram Chronology, as used in the 2010 issue of this album. *Although not on the album, Did You Ever Have a Dream was the B-side of Bowie’s final single for Deram, Love You Till Tuesday. Today’s lyric quotation is from it, with an intentional tweak of dream to Deram.